Anie (Aniefiok) was born in Eket; the second largest city in Akwa Ibom State, Nigeria. She grew up in Calabar before moving to the United States at age 10. Anie Akpe holds a bachelors degree and MBA from Dowling College in Long Island, New York. She is a passionate reader, traveler and bike rider. Anie lives in Brooklyn, New York. Anie Akpe is a business professional and entrepreneur with more than 15 years experience in the banking industry. She is the Vice-President of Mortgages (currently managing a $700 million portfolio) in a banking institution. Working in the Financial sector, Anie found it very needful to start IBOM LLC when people kept inquiring from her about their small businesses. Hence, she Founded IBOM LLC. IBOM LLC focuses on educating Africans in the Diaspora, by providing the best consulting services for their small and medium sized businesses. Anie Akpe provides remarkable and output-oriented services to her clients. She achieves this by linking her global experience and culture as a Nigerian with skills from stellar corporate America leadership. Anie Akpe is also the Founder of Innov8tive, a subsidiary of IBOM LLC. Innov8tiv is a dynamic Web source for technology news, resources and innovation, with a special focus on the entrepreneurial advances of Africans on the continent as well as in the Diaspora. In addition, Anie is also the Founder of Networq App. Networq App enables users to create & exchange business cards while networking in real-time. NetWorq app was developed with one thing in mind—one-click connectivity. It helps users to master the art of networking and follow-up. It also provides location and event-tracking information, so one can easily remember when and where each card was gotten. In addition, the app tells users who is nearby using the phone’s GPS. How cool is that? In recognition of her numerous achievements, Anie Akpe was named one of the African women leading in business by “Black Enterprise” magazine New York. 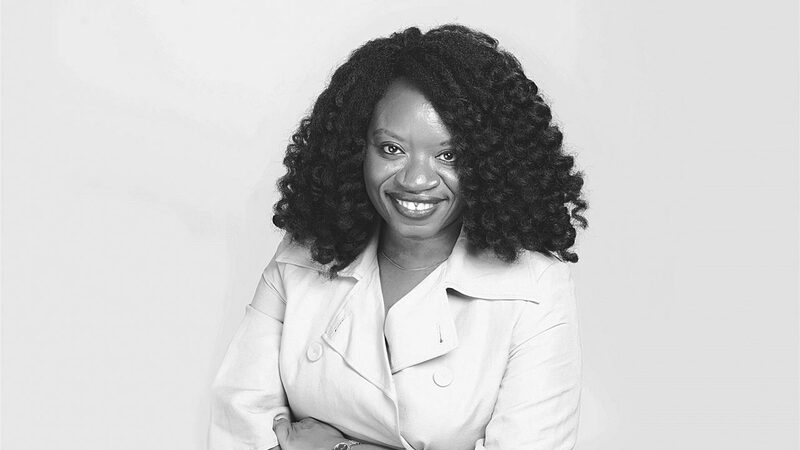 Anie Akpe understands the crucial role technology plays in our everyday life. She is also one of the leading ladies creating tech-enabled platforms, and advocating for more women-centred careers in STEM. When asked what keeps her going? Anie Akpe says, “Passion! I can’t do what I don’t like doing. If it involves something I am passionate about, the result is boundless. My creativity has no boundaries, if I have passion for what I’m doing”. We totally agree with Anie. We can all achieve so much when we are passionate about our goals and dreams. ⟵Blessing Ebowe: Push beyond your limits! Pingback: Anie Akpe #ALD18 @findingada « Adafruit Industries – Makers, hackers, artists, designers and engineers!